Helping students to develop autonomy and agency has long been a challenge for teachers, but the use of new educational technology can help to emphasize these traits. An 8th grade English class at Iroquois Middle School in Niskayuna, NY has developed a system that can individualize curriculum, highlighting the learning that occurs throughout each student's school day and embedding concepts of gamification. Read on to learn what happens when you give students time, room, and the freedom to grow! When you walk into my middle school English classroom at Iroquois Middle School in suburban Niskayuna, there is a chance you’ll see groups of students discussing a piece of literature or working to peer review each other’s writing, but there is an even better chance that you will walk in to see 25 students working on 25 different assignments for one of close to a dozen different courses. This might sound like the “Genius Hour” or a “20% Time” project that has become popular over the course of the last few years, but this work encompasses 70% of the time that students spend in my English course. As I near the end of my second decade as a middle school English teacher, I have come to the conclusion that the skill development that occurs in my course happens in much the same way that students develop skills in a physical education course. We introduce a skill to my team of 125 students, there is guided practice, then they play. Students have the opportunity to develop and demonstrate writing and reading skills just like they would demonstrate running and jumping skills to a physical education teacher. A physical education teacher can assess a student's ability to run through dozens of activities, and as an English teacher, I can do the same with student reading, writing, listening and speaking skills. Furthermore, I have concluded that my students are just as able to design activities that highlight their strengths as I am. When students enter my classroom, they are asked to consider what types of projects they might complete to demonstrate that they are developing in many different English skill areas. They examine learning standards (C.C.L.S., ISTE, etc.) just like they would other dense, non-fiction texts, and they make decisions about how to demonstrate that they are growing and learning. 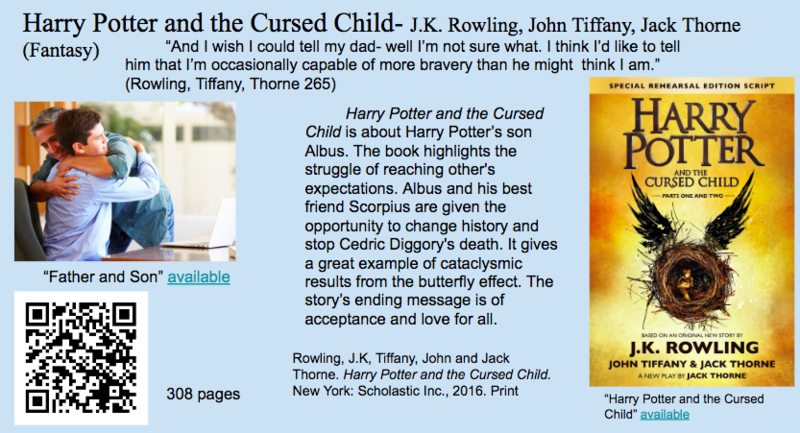 Sometimes, skills are presented in conventional ways, through a paper, or a book review (see example, below), or a vocabulary study. Eventually, those skills are demonstrated through projects that students choose, and often those projects are the same assignments that are submitted to teachers of other courses. I regularly read student writing that has been assigned by a social studies, science, health, or technology teacher. There is no limit to the type of project a student can turn in for English credit. Steve Wolfort, the media center specialist at Iroquois Middle School, developed a feedback system that makes use of an online form, spreadsheet and app script to individualize a feedback sheet for each student (see below image). 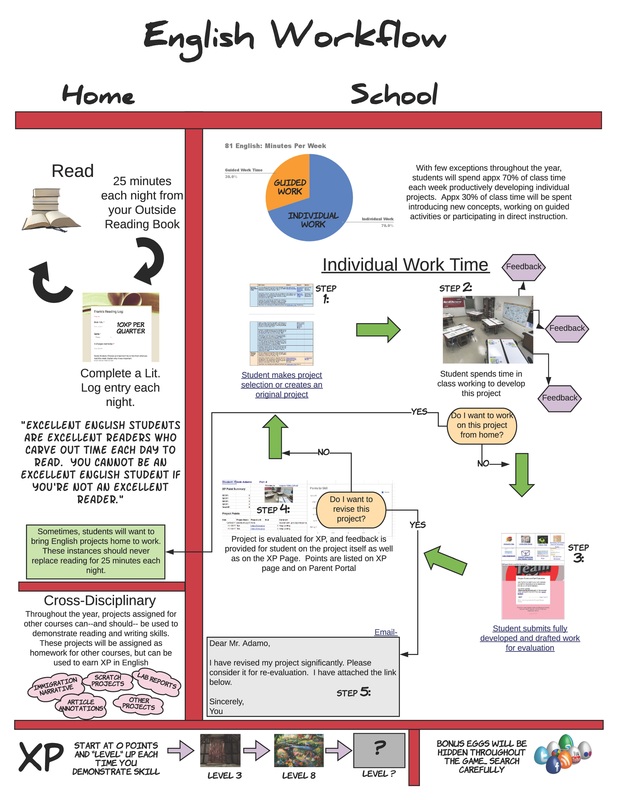 This sheet links all student work, as well as growth across each standard area, and it provides students and parents with a “home base” for language growth. Each time a student submits a project, I can quickly provide feedback to help them move forward, and they are able to track their growth across skill areas. Furthermore, students have the ability to earn points and “level up” throughout the course of the school year. Steve’s evaluation platform has allowed us to incorporate a gamified, standards-based grading system while also incorporating information from standardized and local assessments. And we believe that this format can be applied across grade levels, subject areas, and even entire school buildings. There is also a strand of gamification that runs throughout this English course. Instead of earning a percentage grade for each project, students earn points. Students start the year with zero points, and they gain points towards a final grade for each quarter. This works in exactly the same way that players earn points in video games. A student who does nothing gains no points, and a student who consistently turns in work earns lots of points in lots of ways. The program that we have built allows students to accrue a “Total XP” score throughout the year. Each time a new point level is reached, the student feedback page changes levels. These levels are all derived from fictional worlds (Hogwarts, Middle Earth, Narnia, etc). Within these new levels, I have hidden “Easter Eggs” that are almost always small projects, or side-missions, for students to complete for additional English credit. I have derived each of these Easter Eggs to align closely with a single learning standard or skill. Students think they are earning secret points… I know they are demonstrating English skill through a series of hidden mini-assignments or lessons. This project provides students with two things that they are not accustomed to in their school day. By making individual decisions about what to work on, and how this work addresses each individual’s learning, there is a high degree of choice. 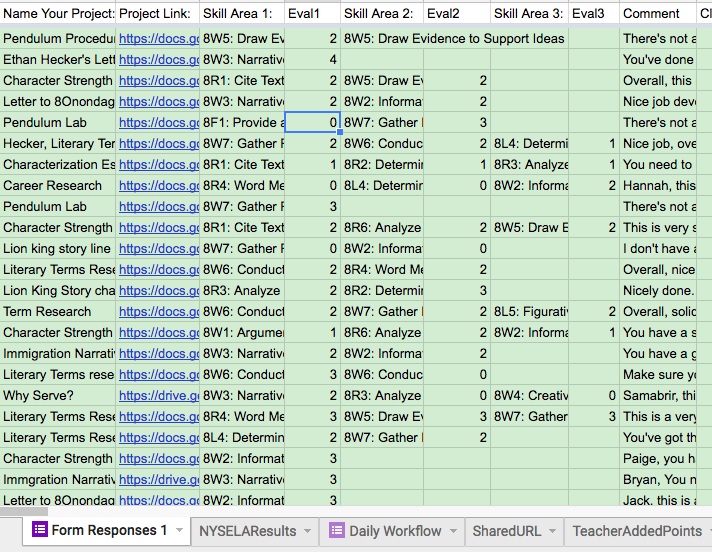 I have developed a system where 25 students could be working on 25 different projects in my classroom. This helps each student to understand that their path to English growth is their own, and it essentially builds a student-created IEP for everyone enrolled in the course. The true gift has been the agency that students demonstrate as they become comfortable with the project. It’s not uncommon for students to enter my room and begin working before the bell, and it is even less common for there to be large gaps of time where productive work is not being accomplished. I can quickly check in with those students who are already comfortable moving forward on their own and then spend the bulk of the class period working with those who need support or who are working to extend themselves as learners. The current state of technology has allowed teachers to connect with individual students on a daily basis, using detailed information to help promote growth. The current state of technology has allowed teachers to connect with individual students on a daily basis, using detailed information to help promote growth. By extending the “Genius Hour” to the “Genius Year,” I have started to unlock the reality that each of my students can play an integral role in developing an English curriculum for themselves that will help them to grow significantly throughout their year in my middle school classroom. Barlow, Emma. “Photograph of a father hugging his son.” Female First, 15 Sep. 2015. OffensiveArtist. “Photograph of the Realm of Middle Earth.” 16 April 2017. Wikipedia. Wikimedia. 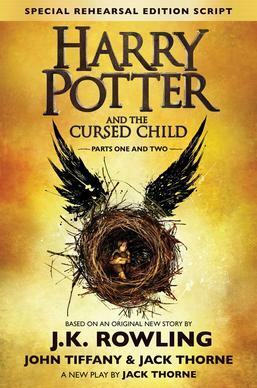 “Harry Potter and the Cursed Child Special Rehearsal Edition Book Cover.” Wikimedia.